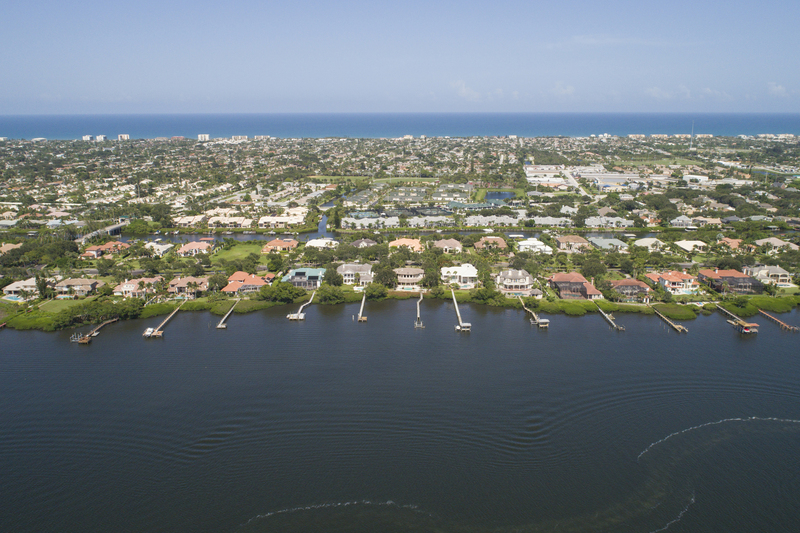 Lansing Island in Indian River Harbor Beach, Florida is accessible only from a single-entry point by way of guarded bridge, offering privacy and seclusion.The island is surrounded by the Banana River on the west and Grand Canal on the east side with natural lush vegetation and wildlife. Today’s home sits on a .94-acre lot covered in majestic palms and lush native horticulture. 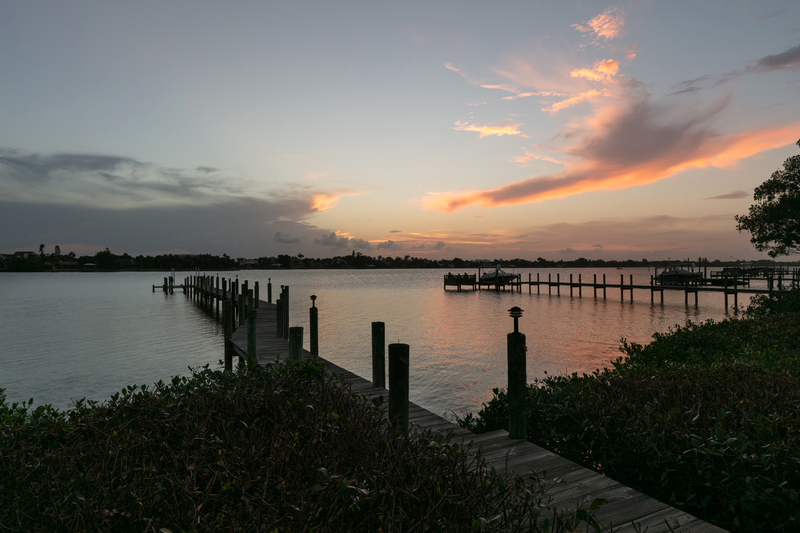 The home enjoys over 120 feet of river frontage with a private dock and sundeck. A soon-to-be installed 10,000 lb. boat lift and dock cover makes boating easy and convenient. The four bedroom estate has 5,971 square feet of living space. Double doors lead into an expansive foyer with a scrolling iron staircase, inlaid marble floor and as you look up, a gold-leafed dome ceiling adorned with draping crystal chandelier. The formal living room a towering coquina gas fireplace and black marble wet bar equipped with ice maker and mini fridge. 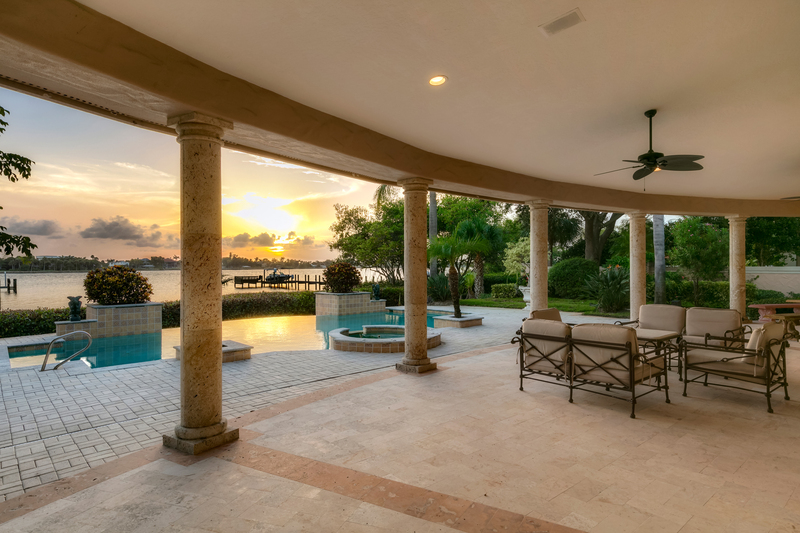 The river views and sunshine pour in from the wall of windows and doors that open onto the pool deck. 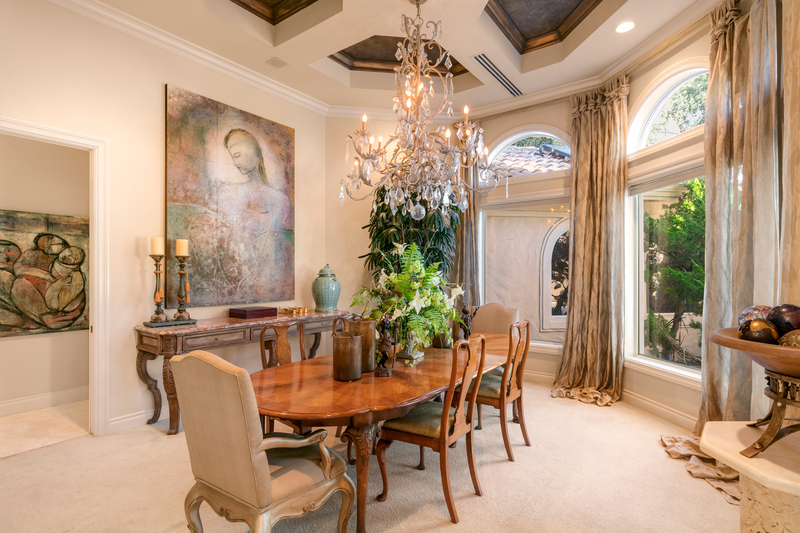 The large dining room with has a built-in cabinet and windows across the front. 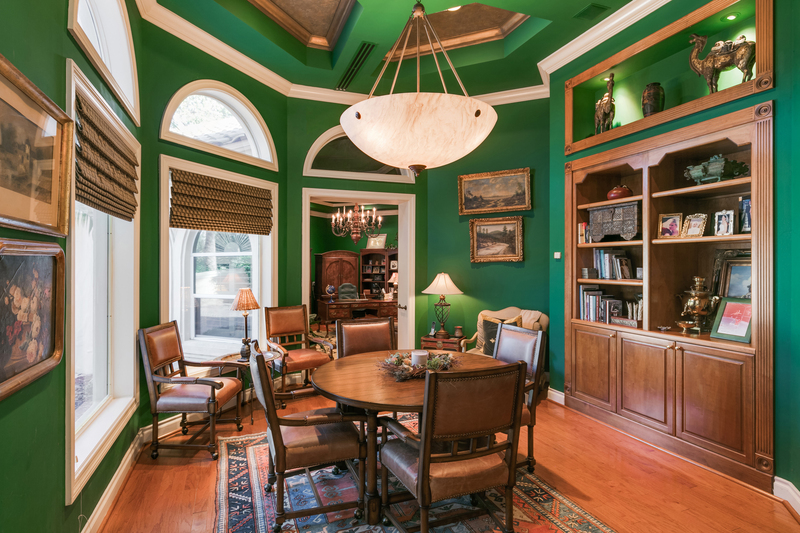 Adjacent to foyer is a study or game room with gleaming wood built in shelving and cabinets. A voluminous family room with hardwood floors was added on and has its own A/C unit. 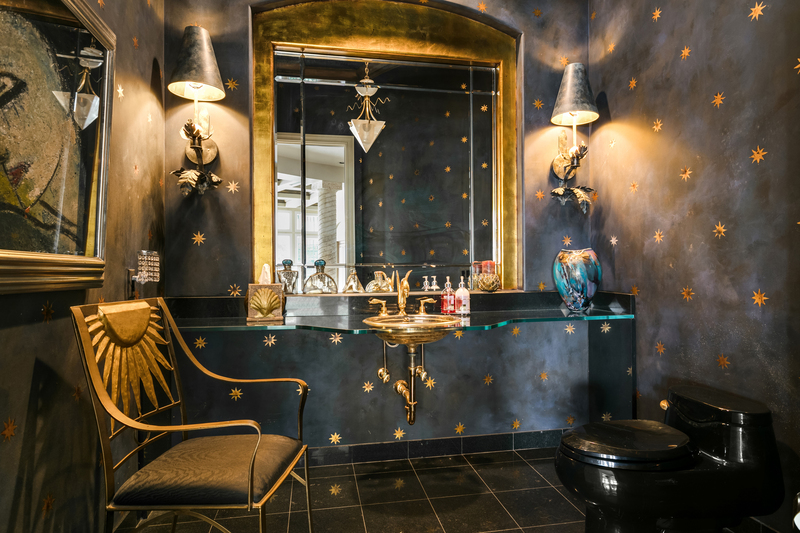 The powder room was featured in Architectural Digest. 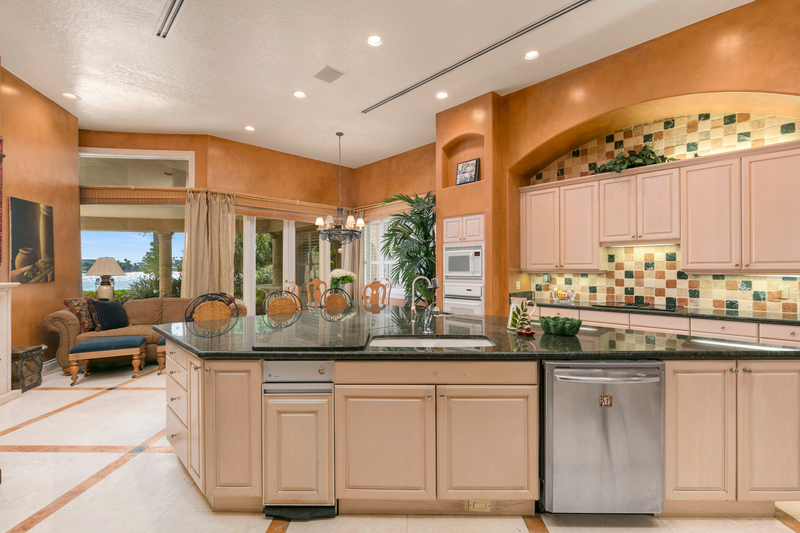 The kitchen has a breakfast bar, keeping room, a a breakfast nook opening out to the pool deck and summer kitchen. Upstairs, the master suite has a sitting area with views out the massive windows and two balconies overlooking the panoramic vista of the sparkling pool and Banana River beyond. 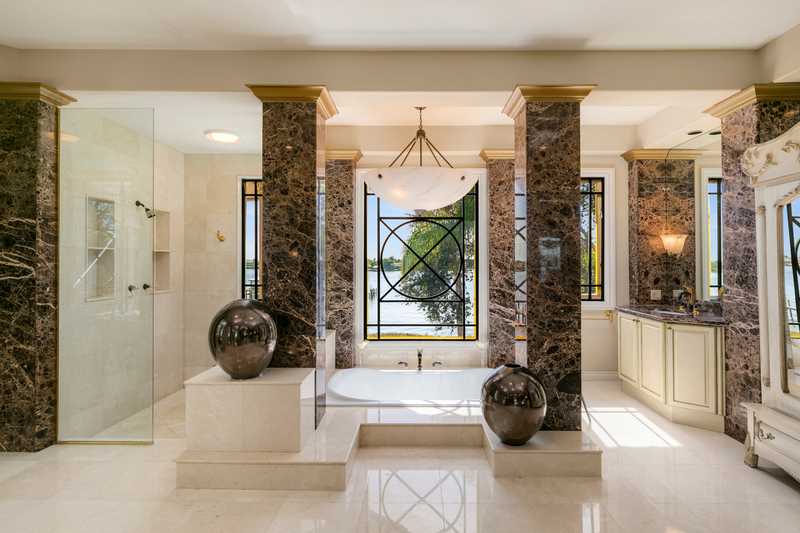 A mirrored hide away door opens to well-appointed closet for him while on the adjacent side of the Master bathroom is a lady’s dressing room with marble vanity and separate custom built out closet for her. The fourth bedroom has book cases that surround the bed and ensuite full bath finishing the upstairs. The laundry room is equipped with loads of cabinets, counter space and sink. 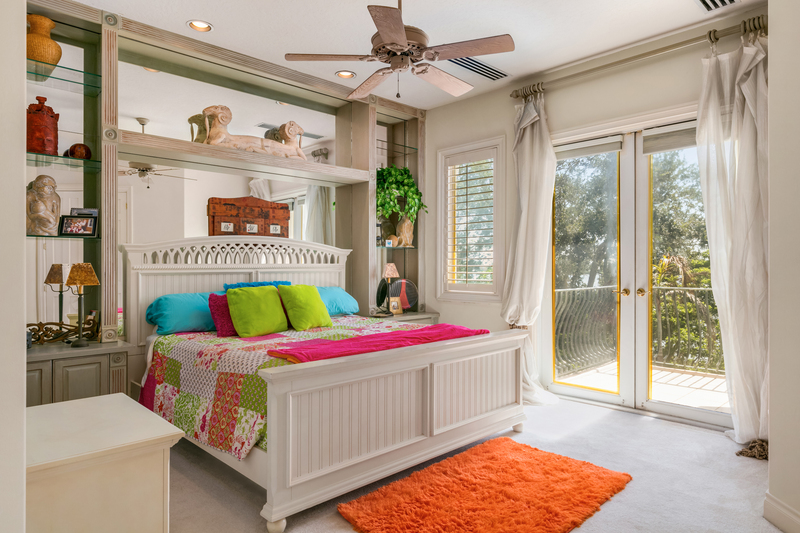 Storage abounds in the oversized 4 car garage, walk-in closets, a hidden closet and loads of cabinetry. This property is listed for $2.1 million with Dale Sorensen Real Estate and is showcased by Luxury Portfolio.